The countdown is already running again: From 11th until 20th of October 2019 our big anniversary festival will take place: 15 years FESTIVAL OF LIGHTS in Berlin! Also on the occasion of the “30th anniversary of the fall of the wall” in 2019, we make freedom the guiding theme. 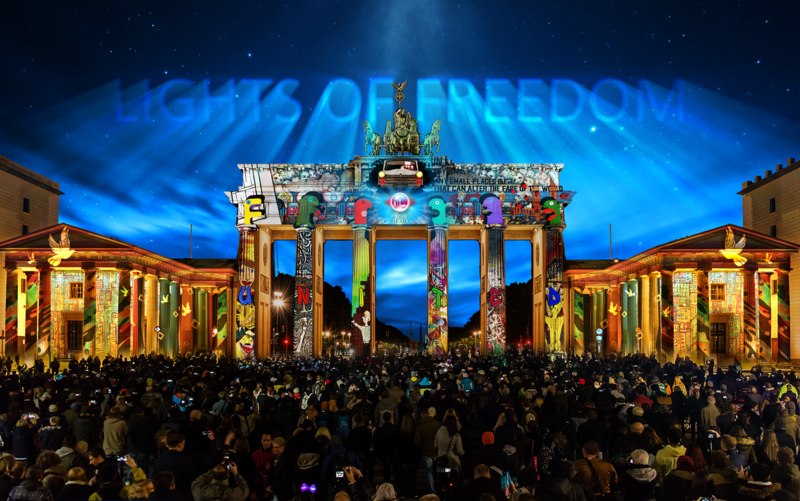 Under the motto “Lights of Freedom” we stage the city of freedom and transform Berlin into the largest open air gallery in the world.